1956 Marlboro Cigarettes original vintage advertisement. You get a lot to like in the new flip top box. 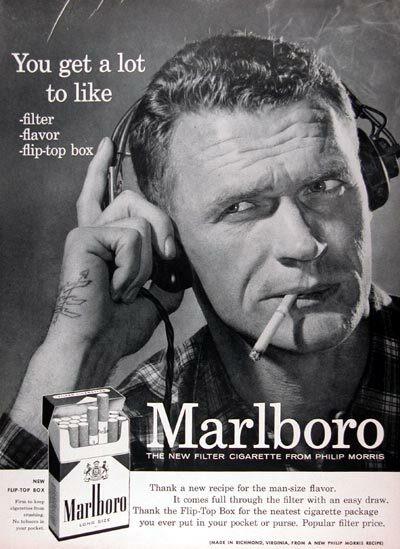 Marlboro - The new filter cigarette from Philip Morris. Thank a new recipe for the man size flavor. Made in Richmond, Virginia from a new Philip Morris recipe.